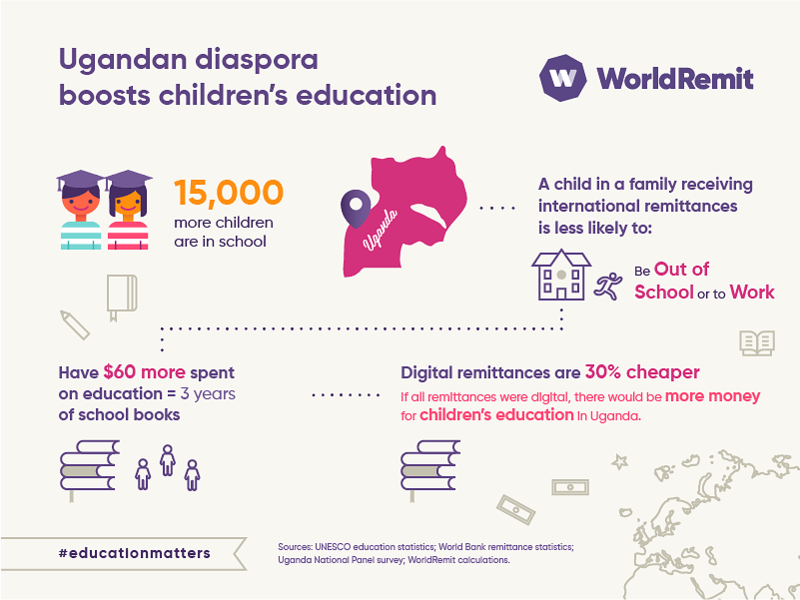 Our research shows that in Uganda, 15,000 children were likely to be in school because of money sent from loved ones living abroad. In the households that receive remittances, not only are the children less likely to work and more likely to study, but they are also likely to have more spent on their education. The additional funds are equivalent to a set of school books for three years.